Tumeric - This Asian spice is a medicinal superfood. Turmeric (Curcuma Longa) is a relative of ginger and is the spice that gives curry powder its characteristic yellow color. It is one of the most extensively researched medicinal spices. It protects the liver from toxins and is effective in killing numerous bacteria and yeasts. It is also and exceptional anti-inflammatory. Studies indicate that one of the most important constituents in turmeric is the yellow pigment, curcumin. It blocks several inflammatory chemicals reducing inflammation throughout the body. It is easy to consume turmeric daily by adding it to curries, beans, rice, sauces or smoothies. 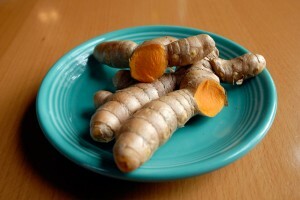 Turmeric is available as a dried powder or as the fresh root which resembles yellow ginger. It is best absorbed when it is combined with black pepper, or other aromatic spices as it is in traditional curry. Chia Seeds and other Omega-3 Fatty Acids - In our bodies, cells communicate with each other by sending chemical messengers into the blood stream. These messengers are called cytokines. Certain cytokines promote an inflammatory response, while others turn it off. Omega-3 fatty acids cause more of the anti-inflammatory cytokines to be made. The modern American diet is very low in omega-3 fatty acids. It is difficult to get enough of them without making a conscious effort to eat high omega-3 foods. 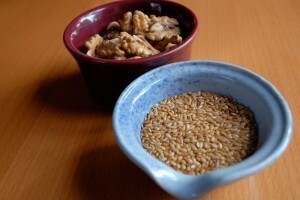 Flax seeds are one of the best vegetarian sources of omega-3s. Other rich sources are cold-water fish, hemp seeds, walnuts, chia seeds and grass-fed beef. Berries - Berries have a wide range of health benefits from anti-cancer effects to improving wound healing. One of their most important properties is their ability to reduce inflammation. This property has been studied in different types of berries as well as in similar fruit such as pomegranate and cherries. It is easy to eat a variety of berries regularly as they tend to be accessible and are delicious. In the winter, frozen berries are a good option. 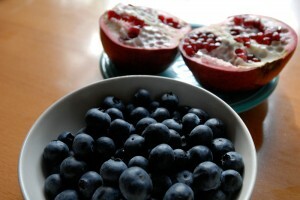 Freezing and thawing the fruit actually makes the powerful flavonoid compounds more available. 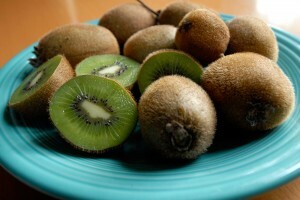 Kiwis and other high enzyme foods - Enzymes are one of the oldest natural remedies for inflammation. Bromelain, an enzyme rich extract from the pineapple fruit, has been used by the medical community for over 50 years. The most effective enzymes seem to be the ones that break down proteins. These are found abundantly in several fruits like kiwi, pineapple and green papaya. When consumed raw, a portion of these enzymes are absorbed intact into the blood stream where they break down inflammatory complexes. 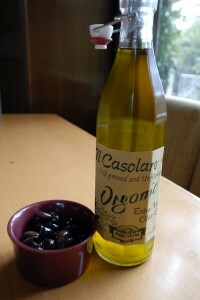 Olives and extra virgin olive oil - The Mediterranean diet is well known to promote health and longevity. This is largely due to the high consumption of olives and extra virgin olive oil. These oily fruits are packed with anti-inflammatory polyphenols that have been shown to reduce both arthritis and heart disease. However, these important phytochemicals are not present in the refined oil. So remember to use the extra virgin, cold-pressed oil or the whole olives.